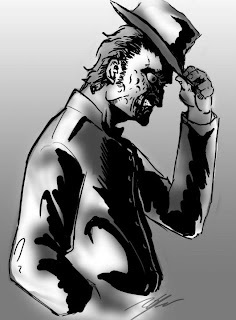 I found out about Tony DeZuniga's passing 12 hours ago. It was the first thing I read when I got in to work. Mang Tony, best known for creating Jonah Hex and the Black Orchid, was the first Filipino artist to work for DC and Marvel, and it was through him that Filipino artists in the 70s found their way into the Big Two. Think about it: without Tony DeZuniga, the world would have never seen the works of Alfredo Alcala, Nestor Redondo, Alex Nino, and that whole host of artists, as well as the ones that followed. I met Mang Tony at Summer Komikon last year (almost exactly a year ago today), and I got all tongue-tied, as I often do when legitimately starstruck. He was a gracious man, who happily signed the three prints I bought from him (with one of them being signed with "Best of luck!"). He suffered a stroke last month and died at 1:30AM this morning. Norby Ela has said that the wake will be held at the Heritage Park at Taguig starting 10:00AM tomorrow, Saturday, May 12, 2012 until Tuesday, May 15, 2012. He will be cremated. 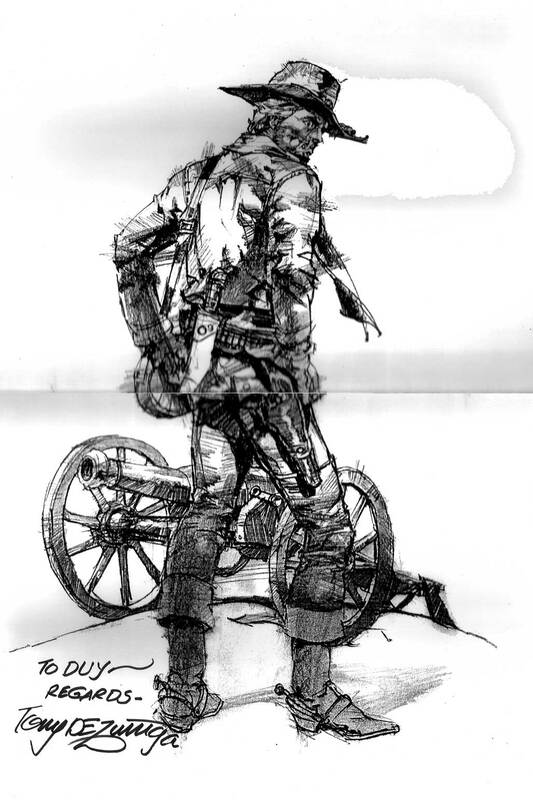 Comics Cube reader Mike Yap drew this Jonah Hex piece as a tribute. Rest in peace, Mang Tony.